Back in 1992 an unknown designer was shopping around a cute little design about programming laser-equipped robots in a race around a deadly factory floor. He finally got a bite from a tiny startup on the West Coast. They liked the design, but were concerned about the cost of printing it; he wanted metal robot minis, plastic flags, and two-sided modular boards. The side project ended up being called Magic: the Gathering. Both the designer (Richard Garfield) and the publisher (Wizards of the Coast), ended up richer than Croesus. And the robot game–RoboRally–turned out pretty good, too. 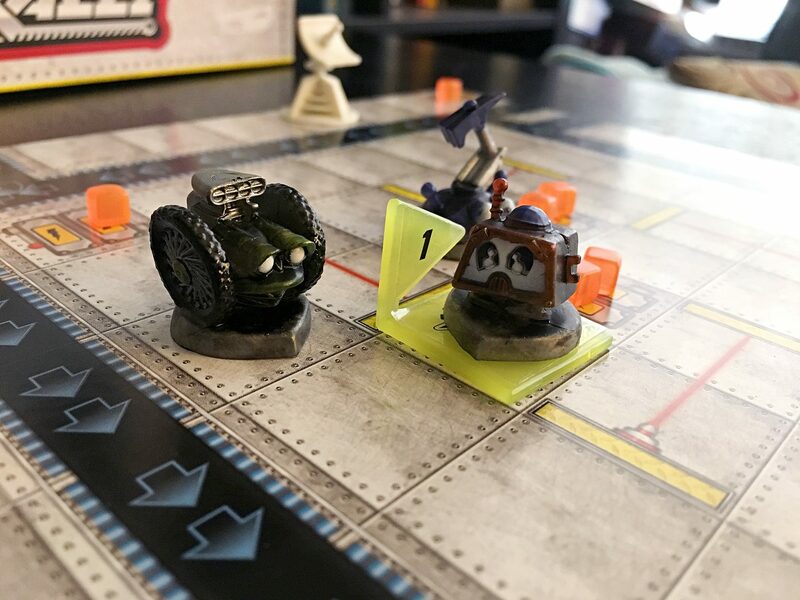 The original edition of RoboRally sold well, and fans started creating their content. Wizards released an expansion or two. In 2005 they released a new edition under the venerable Avalon Hill imprint; it did well enough for another print run in 2010. 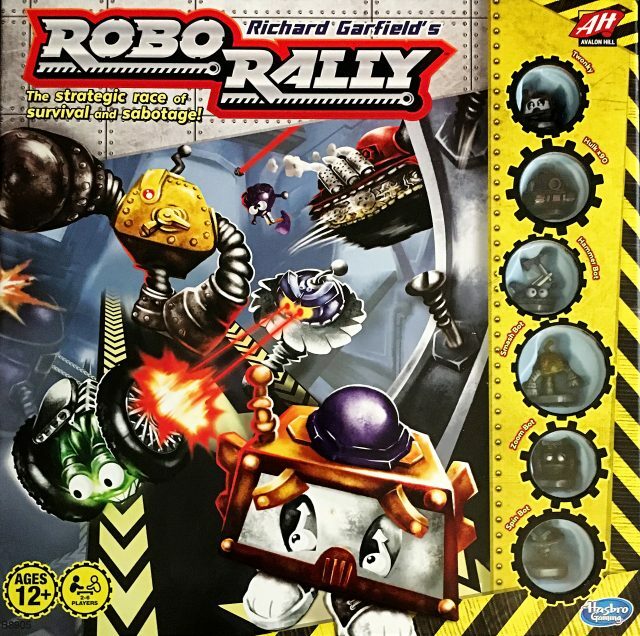 Now a new edition has been released as a Hasbro game, with no mention of WotC anywhere on the box, Garfield’s name above the title, and a space between Robo and Rally. The new version has a pretty low price point–not surprising, given Hasbro’s target market. This is good for those who can’t get their hands on a copy or who want to see how Garfield has tweaked the design (and as you see below, I think it’s worth it for that reason too). The downside is that the production values are not up to what tabletop hobbyists would like. To start with, the box is not sold shrink-wrapped but taped shut which is nigh impossible to peel off without causing some damage to the box. That also means the price sticker (if there is one) is also plastered right on the game box. Here’s a paper bag for you to blow into. Next, the energy cubes (a new wrinkle, RoboRally veterans) are tiny. Tiny! Like, don’t breathe on them or they’ll blow under your couch. Finally, the cards are printed on VERY flimsy card stock and (I am told) aren’t the same size as any sleeve out there. 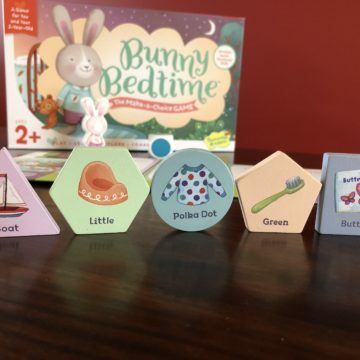 The player mats and tokens are printed on similarly thin cardboard. And I almost blew a gasket when I cracked open my copy thinking that half the components were missing til I ever-so-calmly pried up the insert to see everything else piled up beneath it. Yep, the game insert is so deep that the rules and boards have to be stored under it. I figured out that this is so the cute pre-painted robots can peek through the box cover to entice passing shoppers. It also means that every time you set up or put away the game you have to take the insert out. Score one for impulse marketing. Aside from that, the insert is serviceable, with enough space for everything (except the board and rules). Okay, with all that out of the way we can talk about how the new edition has screwed everything up changed things. Now, the interesting thing is that this thread on BGG has Garfield saying that Hasbro took his design and tinkered with it for several months with no input from him. Check it out. Meanwhile, the basics of the published version are still the same: up to six players get a mini-death-machine each. There are six double-sided boards that can be set up according to over a dozen premade scenarios or according to your own twisted nature. Plastic flag markers establish the checkpoints you’re trying to hit (sometimes literally). The first player to guide her robot through the checkpoints in numerical order wins. Programming and activation happens basically the same way as before. 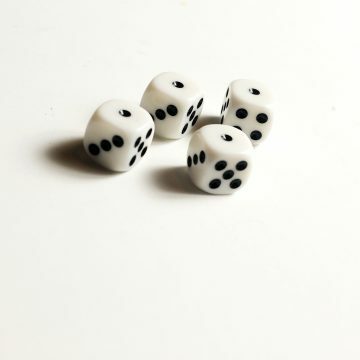 Every round players draw nine cards and secretly slot one into each of five “registers”. Theoretically, each register will activate in turn, sending your mech minion exactly where you planned. This never happens. The first and most major change is that Garfield has swapped out the central random deck of command cards and swapped in a deckbuilding mechanic. Each player now begins the game with a separate deck of cards consisting of the various basic commands. Your deck changes as you buy upgrades (see below) and take damage. In the old version, every point of damage reduced the number of registers you would get to activate–very hard to come back from that. Now taking damage means taking damage cards which go into your deck and make you do silly things like play a random command from the top of your draw pile. Sure you can always choose not to program them, but then they sit like undigested bran in your deck, so you might as well bite the bullet and play them, which flushes them out of your deck. The end result is that damage is less deadly but more random and annoying. 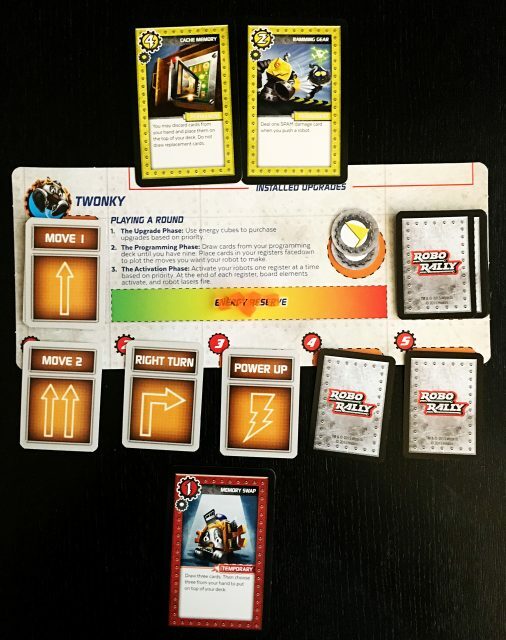 Secondly, activation priority is no longer determined by numbers on the command cards themselves; instead, there is a special piece called the Priority Antenna, and as each register triggers robots activate in order of how close they are to the Antenna. 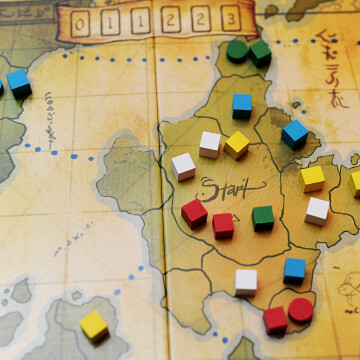 I highly recommend you read this thread on BGG to clarify how this rule works; it’s actually easy to use once you get it, but the rulebook is no help here. This thread, with other official rules clarifications, is also useful. And finally, this thread has Garfield’s original rules for starting the game with upgrade cards in hand and the ability to spend energy to buy them blind from the upgrade deck if nothing in the market looks good. I suspect that owners of the earlier editions of the game will generally pass on this version. The cheap price is offset by cheap components, and veterans will probably want to stick to the rules they know and love. On the other hand, I think the new version is a slightly more forgiving game that retains all the chaos of the original but helps players catch up and deal with damage more easily. And if you’ve been wanting a copy and don’t want to drop $100 on a used copy, what’s not to like?